Muslims in India have had a long relationship with Turks beginning early in the 11th century and with the Ottomans beginning in the middle of the 15th century. Especially after the 1870s the Muslims of India and the Ottomans had much closer ties and the Indians began to get more involved in the affairs of the Ottoman state. Until the caliphate was finally abolished in 1924, they made all kinds of sacrifices to help the Ottomans. The fact that India was a British colony introduced a political dimension to the strong historical, religious, and cultural bonds that exist between these two nations. Thus, England and especially the British foreign policy became an additional concern for them. 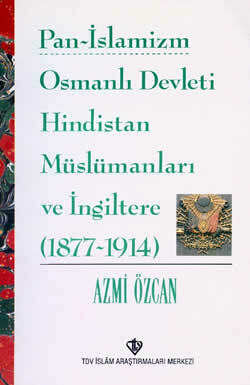 This book examines the relationship between the Ottomans and the Muslims of India starting in 1877-78, the year of the Ottoman-Russian war, and until 1924 when the caliphate was abolished in Turkey. This coincides with a time period when discussion of a new development called Pan-Islamism was high on the global agenda. For this reason, many historians have examined the Turkish-Indian relations within the general framework of Pan-Islamism. This study also adopts the same framework.